St. Lucia is arguably the most romantic island in the Caribbean with its unspoiled sandy beaches, lush rainforests, and natural landscapes, it’s the perfect backdrop to any honeymoon. With a perfect balance between adventure and relaxing you’ll not want to book anywhere else. Here is why you should book your Honeymoon in St Lucia. St. Lucia is famous for its beautiful landscapes and no matter where you look you will fall in love with the islands natural beauty. Relax under the hot Caribbean sun in one of the Island’s many palm tree-lined bays, explore the lush Rainforests and discover new sights or visit the Island’s most spectacular feature, the twin Pitons, located nearer the South of the Island. Whether you wish to spend time as a newlywed couple tackling new adventure’s or simply enjoy a locally brewed beer from one of many beaches, it’s definitely a time the two of you will remember. If adventure is your thing then there are plenty of activities that you can do whilst visiting the Island of St. Lucia. One of the top things to do on people’s lists is to climb the Gros Piton. You can join a hiking tour and climb to the top of the volcanic spire to take in some amazing views of Soufriere from the summit. Visit the treetop adventure park where you can take in the lush rainforests from the canopy and end your time by taking the fastest route down in the form of the longest and highest zip line in St. Lucia. If the sea is calling to you then there are plenty of water-based activities that you can enjoy as well, from boat tours of the island to water skiing. There is definitely enough to keep you both entertained and get your blood pumping from the adrenaline. Adventure is always a good reason to book your Honeymoon in St Lucia. Intimate and luxurious resorts can be found in abundance on the Island. Whether you want your own private plunge pool, outdoor couples hammocks or balconies that overlook the stunning Caribbean Sea you will be hard stretched to find anything as romantic as the accommodation in St. Lucia. Many resorts have tailored packages, especially for honeymooners creating a relaxed ambiance and delivering an amazing service so that the two of you can relax and enjoy each other’s company. If you wish to dine out during your stay, Rodney Bay is a foodie’s dream. With an array of choices from Chinese, Thai, Indian, Italian and French you can sample food from all over the world including local cuisine. Rodney Bay is one of the most popular places to dine as it boasts the most romantic and spectacular views that will stay with you long after your Honeymoon. Here is a list of the top 10 places to eat in St Lucia. Do you love to have a good time? Then book your Honeymoon in St Lucia. If you are a couple that loves to get your dancing shoes on then definitely visit some of the bars and nightclubs that can be found on the island. At night the streets of St. Lucia become teeming with life and on a Friday night are even home to some amazing street parties. Join in with locals and visitors alike, all whilst having the time of your life. Want to know how to party like a St Lucian? You must read this. If you are thinking to book your Honeymoon in St Lucia, you can check out rates at Bookings.com or compare with Expedia which has reviews of the resorts in St Lucia. IF YOU LOVED THIS POST, PIN IT TO YOUR ST LUCIA TRAVEL BOARD. I’ve never been there before but my mom has and says its paradise. I must put that on my to-do list for hubby and I.
it is the perfect island to fall in love all over again. So romantic!!! 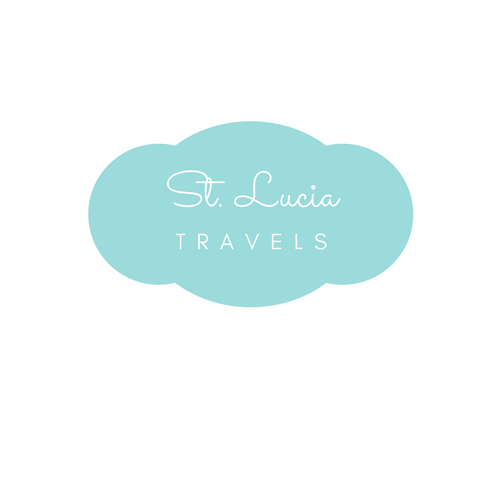 I haven’t ever been to St. Lucia before, but I do have a bucket list of places I’d like to visit and I added this to it today just because your blog makes it seem so inviting! Looks like there’s a lot to do there! Pinned to my travel board also! That’s because it is inviting. It is such a beautiful island with so much to do. This place looks beautiful! Would have to leave my kids home and me and hubby go! You really had me at “food”. Depending on the resort you choose you can also go for a family vacation . Leave the kids with the babysitters at the resort and enjoy the time with your husband. It would definitely work for singles!!! Plan a group trip with your girls , stay at a villa and have the time of your life. I would love to go there for my 25 th anniversary. What a fabulous place. There are a brunch of resorts that would be perfect for a 25th anniversary. Or rent out a villa , have some privacy and a spectacular view. Thank you for sharing your recommendation. Personally, I’ve never been but I’ve heard nothing but good things about it. It is definitely an island your should add to your bucket list. Oh Wow! I am tottaly in Love in St. Lucia now. Will go and check travel deals. That’s amazing , if you need some tips , please feel free to ask. Looks like you guys had a great time in St Lucia. Sounds perfect for a honeymoon. I love the Caribbean! My favourite island is St Maarten. I am not familiar with the place, it looks like a perfect place to visit specially if you are looking forward to a nightlife like me. Sounds so lovely! Friends of mine did go there for their honeymoon and loved it! I have never been to St.Lucia before. Thanks for the great post.I wish I may have my honeymoon there. St Lucia was always somewhere we planned to visit but then our children came along and we never made it there. I would love to go there when the children are older and my husband and I can get the honeymoon we never had! I haven’t ever been to St. Lucia before, its sounds lovely. I will check it out to visit too. Wow it looks gorgeous!! We might need to book a trip soon!